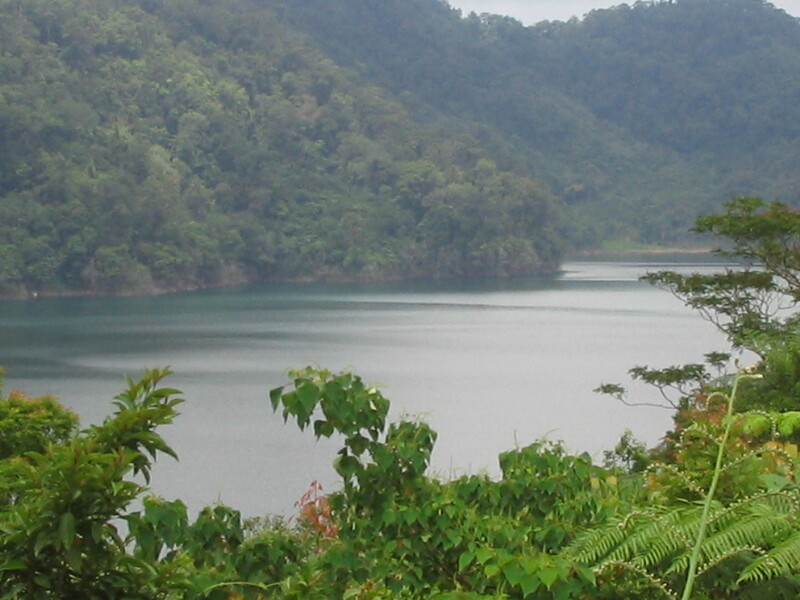 Balinsasayaw is a 70+ hectare lake with the 30-hectare Danao as its twin. It is a beautiful placid site, soothing tired muscles caused by the bumpy ride up the mountains in Janay Janay, San Jose, Negros Oriental. 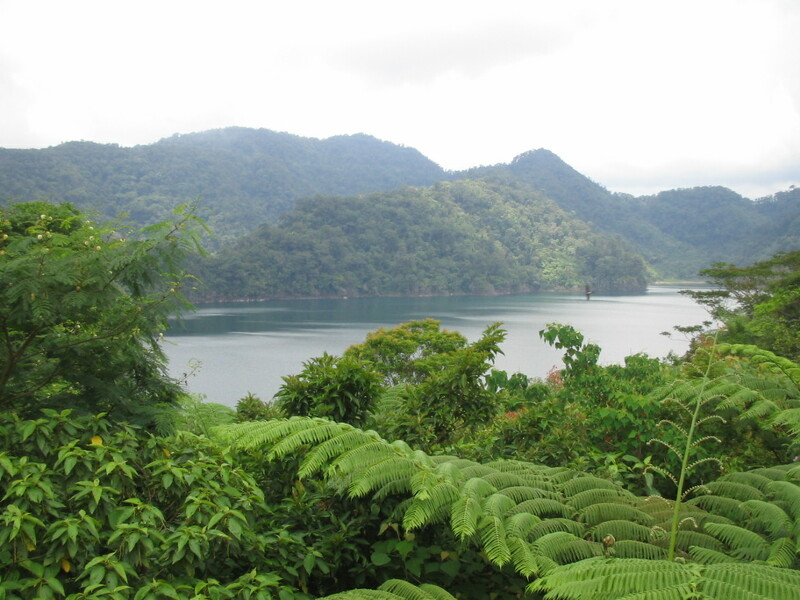 The San Jose mountain road bends over to the town of Sibulan. 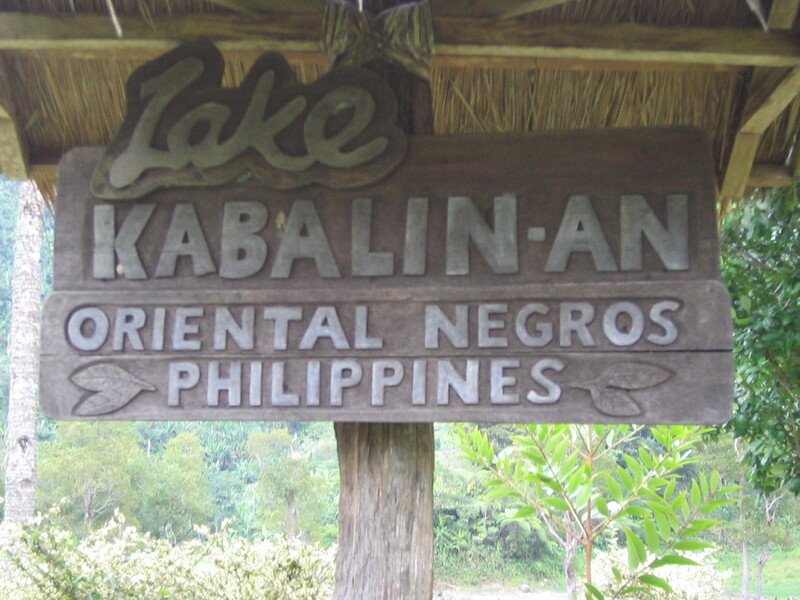 Twin Lakes is under the authority of the DENR, thru the Protected Areas Management Board or PAMB. They operate a restaurant at Twin Lakes. 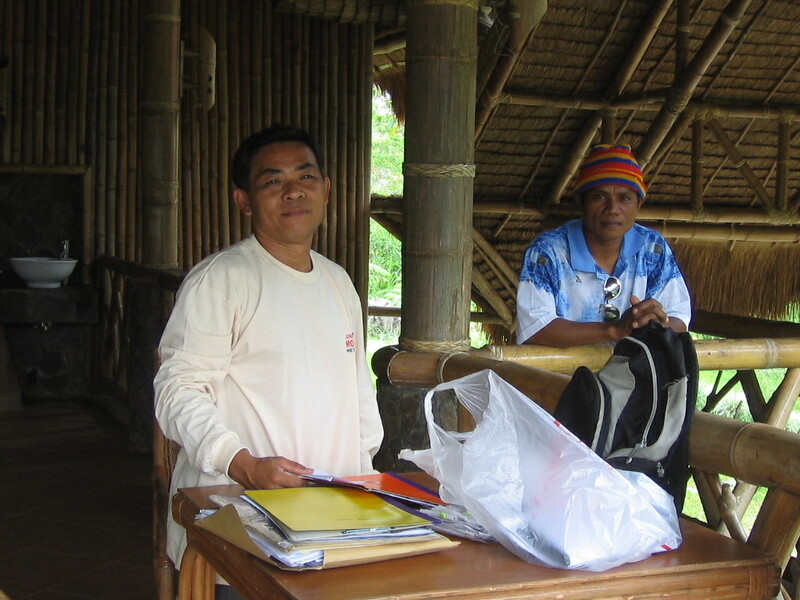 The person who guided me at Twin Lakes is a guy named Venie who works for a PO (people’s org). 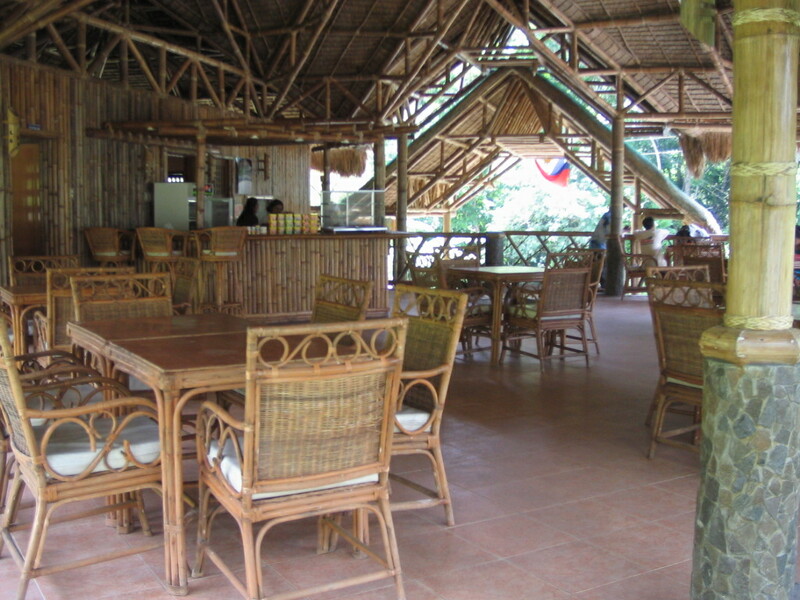 There are no hotels at Twin Lakes, although camping may be arranged on the restaurant grounds. Venie pointed me to a spot where they will allow a tent to be pitched. I asked whether the toilets at the restaurant will be open for the campers and he said Yes. 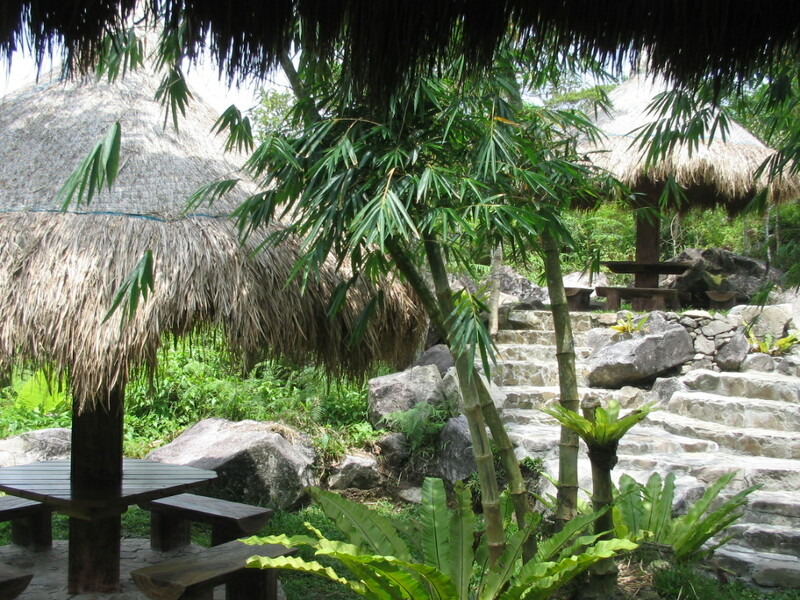 Visitors pay an entrance fee of P10, with an official receipt of the Republic of the Philippines issued as you pay. And then you go 9 kms further up. At that spot where entrance fees are collected, some locals were picnicking. Bathers were wading on the lake (a third lake? ) 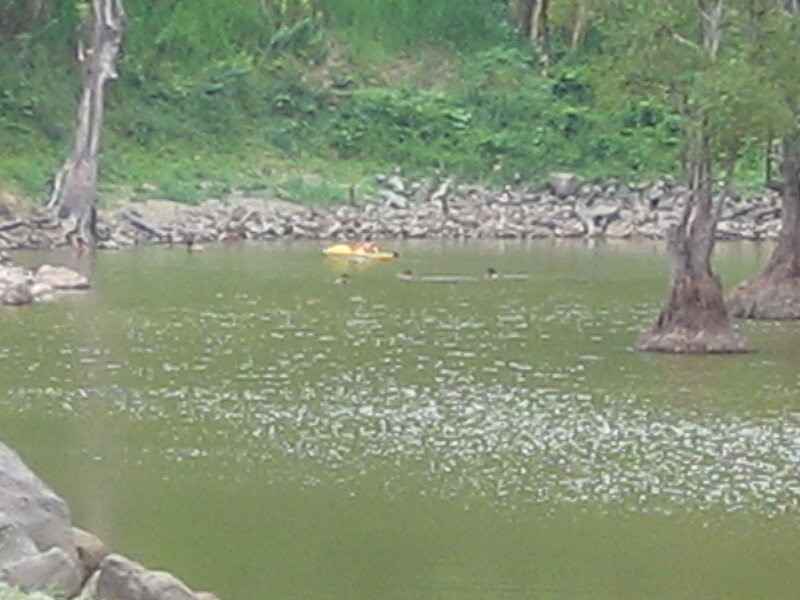 with some visitors actually paddling canoes from a distance. What can one do at Twin Lakes, other than marvel at the magnificence of the lakes? Kayaking and trekking are the two top activities. In fact, one needs to ride a banca or a kayak to get to the observation deck between the twin lakes. 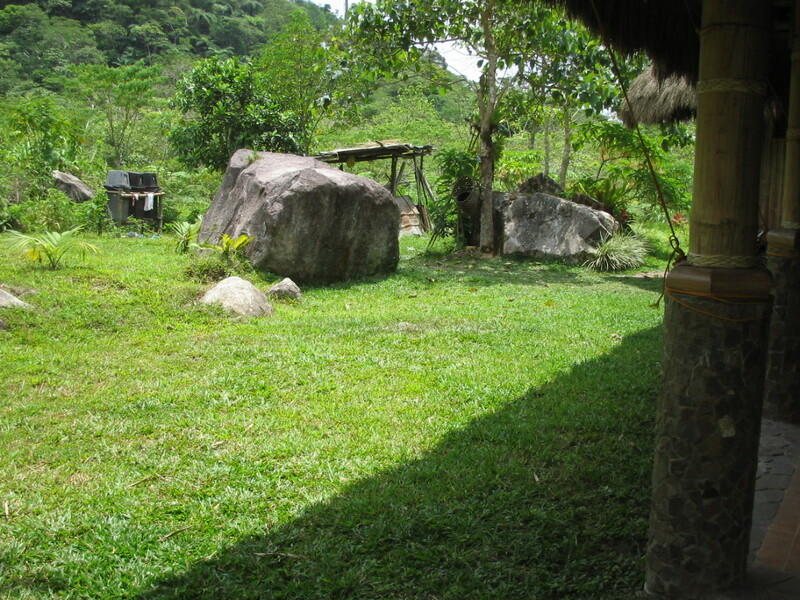 Otherwise, the visitor will see only Balinsasayaw. Contact Venie at09222260281 and he can even arrange for food to be cooked for your contingent.